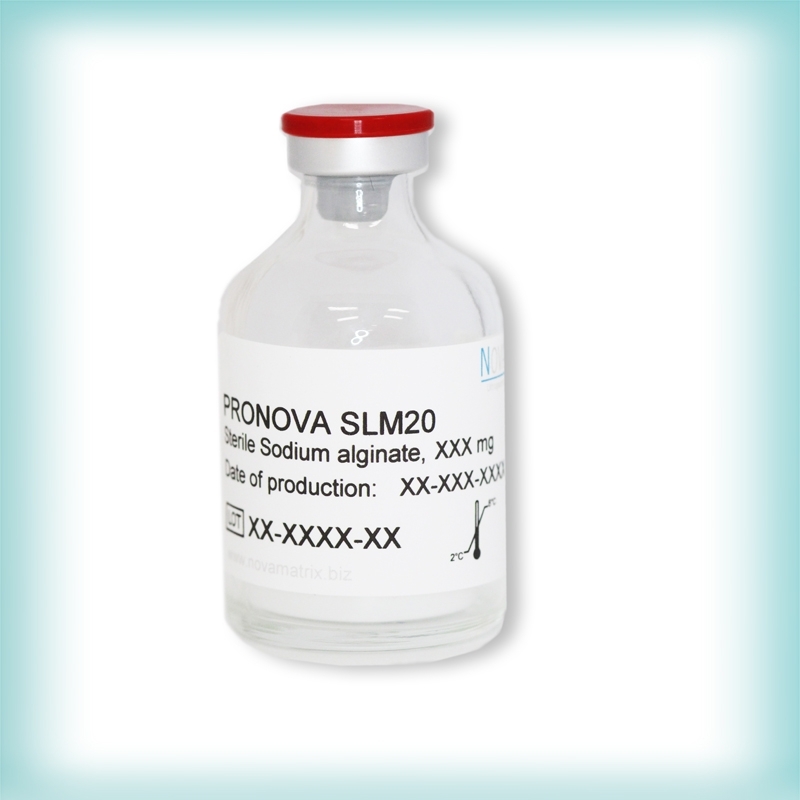 PRONOVA™ SLM20 is made from an alginate where over 50% of the monomer units are mannuronate and is a highly purified and well-characterized sodium alginate. One of the functional properties of alginate is viscosity. 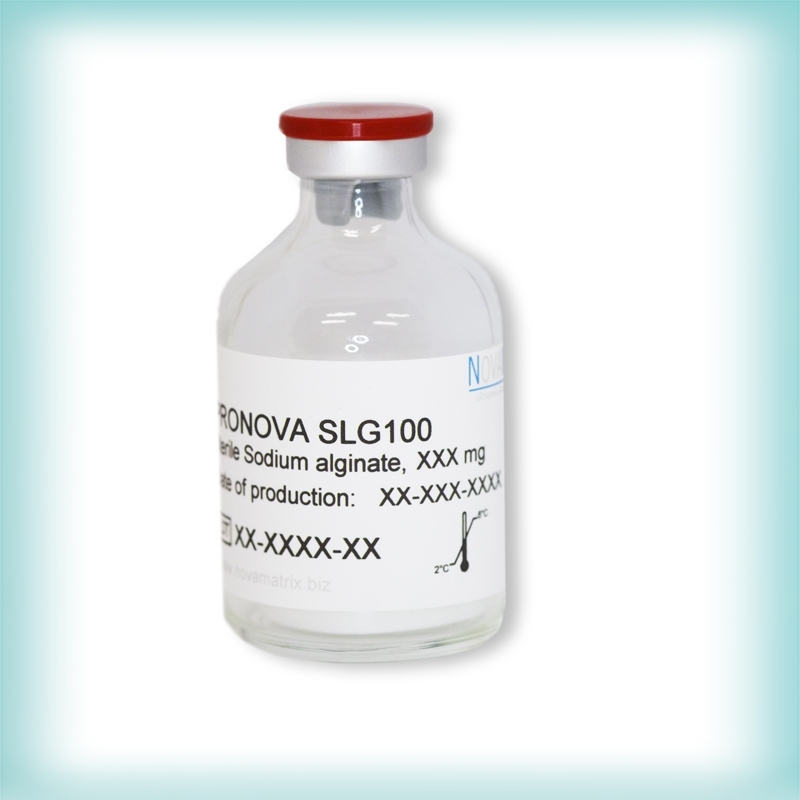 The viscosity of an alginate solution can be manipulated by changing the concentration of the alginate or by using materials with varying chain length (i.e. molecular weight). 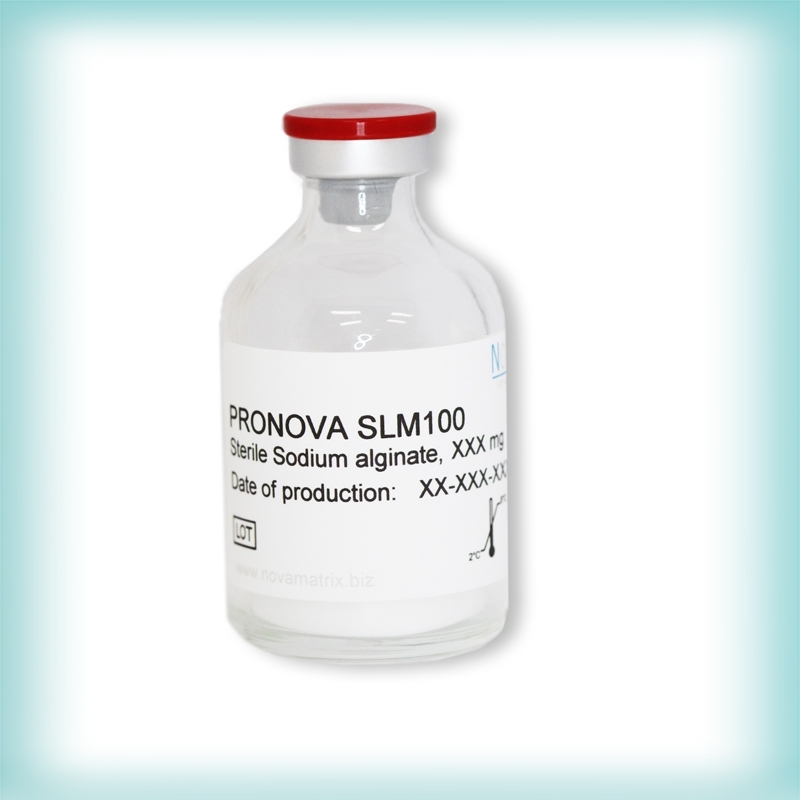 Typically, the molecular weight for PRONOVA™ SLM20 is in the 75000 – 220000 g/mol range. 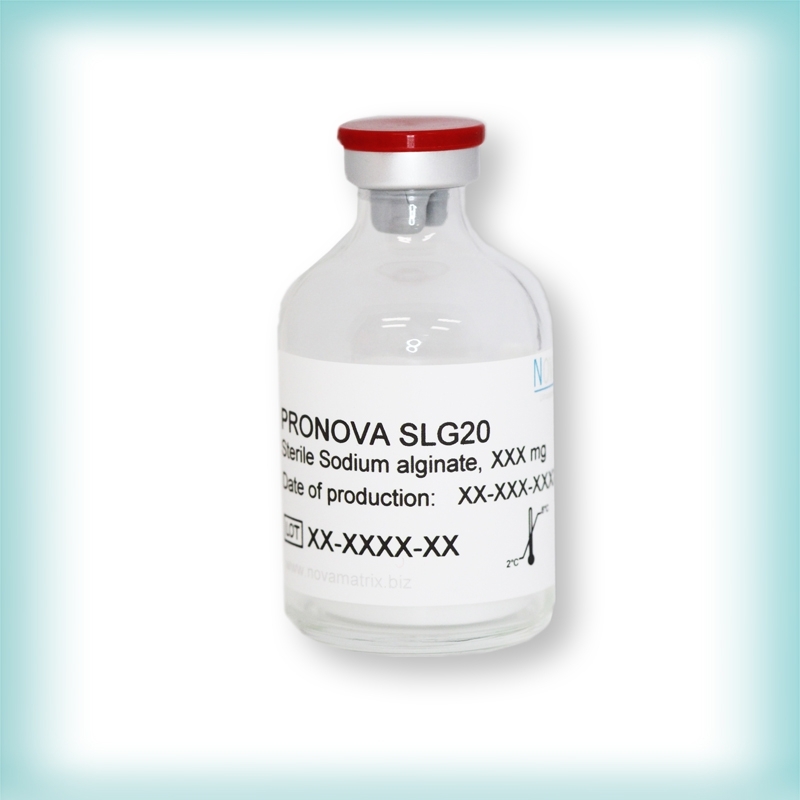 The ultra low levels of endotoxins, proteins and product sterility allows for a big variety of in vitro and in vivo applications.